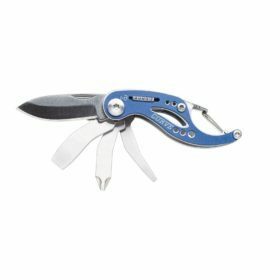 Gerber FliK Stainless Steel Needlenose Multi – Pliers. Industrial strength utility in a compact design for everyday carry. 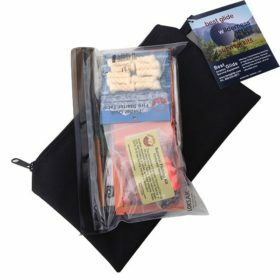 Be ready, come what may, with a veritable toolbox, pocket-sized and always at your side. FliK Stainless Steel Needlenose Multi-Pliers combine one-handed plier deployment with outboard tools and a saw. 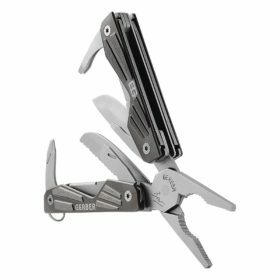 With its twelve beefy tools accessed in outboard mode, the professional grade Flik multi-tool gives itself quite an edge. 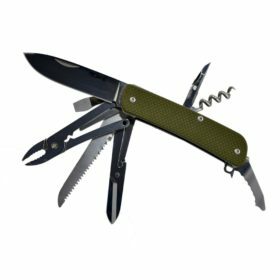 It’s a member of a series of one-handed opening Gerber multi-tools used heavily by the US military. This industrial-strength tool’s needle nose pliers serve personnel who require a precise point that can grab fine elements in small spaces, while its one-handed open greatly simplifies a wide array of tasks. 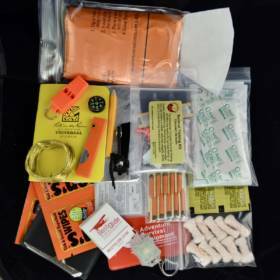 In addition, it contains a brawny saw, a serrated blade knife, and a fine edge knife, each of which can take on a multitude of cutting and sawing tasks, making the Flik more than sufficient as the sole tool needed in a go bag or general purpose tool kit. Constructed of hardy stainless steel, the Flik’s heavy duty tools take on a wealth of tough tasks without complaint. 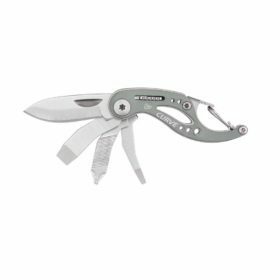 Along with the saw and serrated and fine edge blades, it holds a Phillips driver, three separate sizes of flat heads, a file, a built-in ruler, a lanyard ring, and a can and bottle opener, all of which lock in place for safe application. It even provides an opening assist mechanism for the smaller tools. 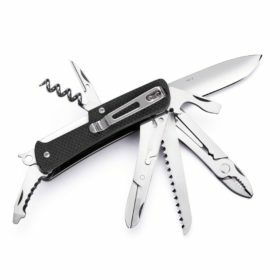 This do-it-all multi-tool works for you in negotiating obstacles regardless of location. 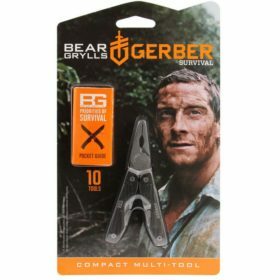 Founded in 1939 and based in Portland, Oregon, USA, Gerber is an American brand whose products have global reach and relevance. Carried extensively by hunters, soldiers and tradesmen, Gerber’s heritage runs deep. Love this tool. It is a replacement for one I lost. The price was reasonable and the delivery quick. I am happy!